Are Your Children Being Subject to Parental Alienation Syndrome? One of the parents discussing the aspects of the divorce with the children. That parent presents the divorce case from their point of view. They take this position claiming they are trying to be honest with the children. This practice can be harmful and painful to the children. This can cause the children to think less of the other parent. Even when the parent doesn’t have an intentional motive to effect the other parent’s relationship with the children. It still does! Children want to love both of their parents. When they feel one parent has harmed the other parent, they can adopt the same attitude of the parent they feel has been mistreated. Children shouldn’t be allowed to decide for themselves whether they will visit with the non-residential parent. Children have no choice. Child visitation is mandatory pursuant to Court Orders. If one parent gives the children a choice and then after the children make a choice of not to visit with the other parent they are compelled to visit, they will usually blame the non-residential parent for not abiding by their decision not to visit with them. 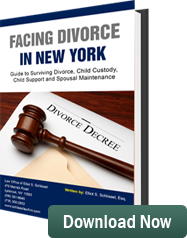 This now creates a situation where the non-custodial parent is being victimized by the residential custodial parent. He or she is not able to see the children when they want to. If they force the children to see them, the children become angry with them. Children have toys and other memorabilia that is important to them. They should be allowed to transport these items from the custodial parent’s home to the non-custodial parent’s home. When they are not allowed to do this, it creates disharmony in the children’s lives. Their normal daily routine is impacted on and it results in problems for the parent seeking visitation with his or her children. In the event there has been domestic violence between the parents, it should not be presented to the child that the child is in danger. In most situations involving domestic violence between parents there is absolutely no indication of violence towards the children. If a child cannot present a reason for being angry with a parent it usually relates to parental alienation syndrome. One parent should not have the child act as a spy on the other parent. When the child comes back from visiting with the other parent, he or she should not be interrogated. When a child comes back from visiting one parent and presents that he or she had a good time, it should not make the other parent unhappy. This may cause the child to withdraw and stop communicating with the other parent. It can also make the child feel guilty for enjoying the company of the other parent. Elliot S. Schlissel is an attorney with more than 35 years of experience representing parents regarding custody and visitation issues. He represents clients throughout the Metropolitan New York area. He is available for consultations.